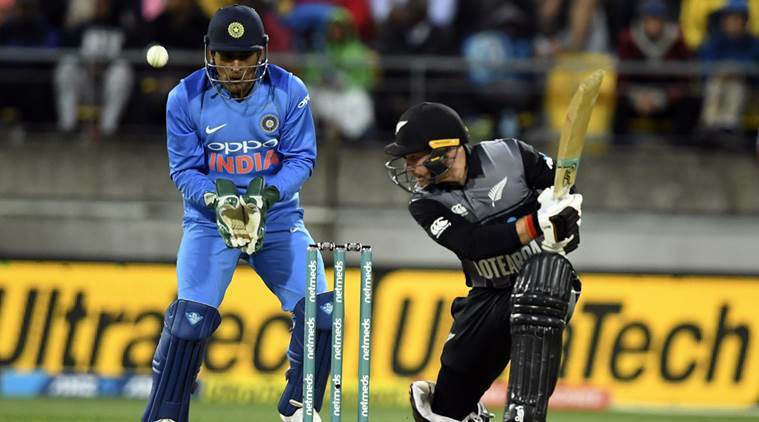 India vs New Zealand, Ind vs NZ 2nd T20 : India and New Zealand are playing their second T20 international cricket match. This is the second T20 match a series of three matches between the countries. Previously, India played a five match one day international (ODI) series with New Zealand, which it won by 4-1. The first innings have concluded with New Zealand scoring 158 runs for 8 wickets. Thanks to the widespread availability of the 4G network in India, you do not need a TV and DTH connection to watch the live streaming of cricket match. To watch the second T20 international between India and New Zealand live on your mobile phone or laptop/desktop, here is what you have to do. Jio TV app is also streaming India vs New Zealand second T20 match live for its users. For Jio TV app, there is no need for a separate subscription, but Jio’s prime membership that costs Rs 99. Viewers can watch the live stream of the match on their Android or iOS smartphone. Windies all-rounder Carlos Brathwaite and Sky Sports’ Bob Willis debate the pros and cons of introducing a two-tier system in Test cricket. JioPhone users and JioPhone 2 users can also watch the cricket livestream on their 4G feature phone. Airtel users can watch the match live without any subscription or extra cost on the Airtel TV app. The app is available for both Android and iOS. It is worth mentioning that you need to use Airtel data to use the app and stream the cricket match or any other show on the app. Airtel DTH customers can also watch the match free of any extra charges. Airtel is giving all its customers complimentary access to all the matches of India NZ T20 series. Customers can catch live matches on Star Sports 1 (channel no 277), Star Sports 1 HD (channel no 278), Star Sports 1 Hindi (channel no 281) and Star Sports 1 Hindi HD (channel no 282), with no extra charge to their new pack. To watch the live stream of the match, you need to have a premium Hotstar account or the Hotstar sports pack. The Hotstar app and website will let you see the cricket match live. Hotstar has two premium plans– Rs 199 monthly plan and a Rs 999 yearly plan. The sports pack of Hotstar costs Rs 299 for 360 days. Under the monthly and yearly premium plans, a user can watch all of the content that streams digitally on the platform, whereas under the sports pack, viewers can only see the sports events that Hotstar streams on its platform. Hotstar can be accessed via its official website. Alternatively, users can download the Hotstar Android or iOS app to watch on their smartphone.